Mark Wetherell (Northumbria University) reflects on an amazing rescue in Thailand. 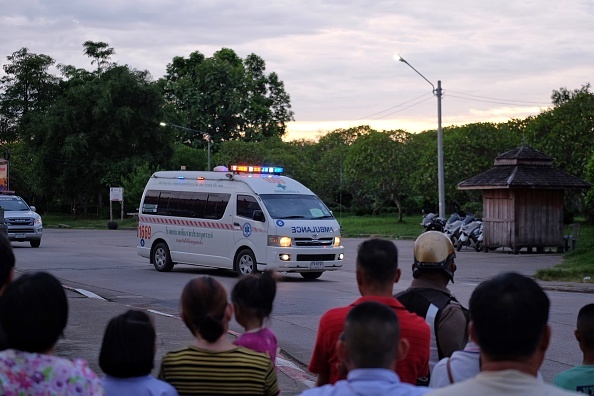 Hero is a word we hear a lot, perhaps never more aptly than following the miraculous rescue of the 12 boys and their coach from flooded caves in Chang Rai. All those involved in the rescue are indeed heroes; they have planned, problem solved, and demonstrated extraordinary feats under extreme psychological, physical and environmental pressures. However, in this case 'hero' is doubly apt as it is also an acronym for a set of psychological resources, known as Psychological capital, that describe our positive psychological state of development. H is for Hope; our ability to work towards a positive goal. E is for Efficacy; our self-efficacy is having confidence in ourselves to take on challenging tasks. O is Optimism; being able to think positively about our current and future successes. We all possess these resources, but the ability to identify and use them varies considerably between individuals. Our levels of wellbeing are related to how we think about past, current and future events in our lives, and our psychological capital or HERO help us to think about these events in a positive way and this can improve our wellbeing. People with high levels of HERO are typically more satisfied with their work and home life, health and relationships; they are better at problem solving; engage in less unhealthy behaviour; and experience less anxiety, depression and burnout. Higher levels of positivity and optimism can also act as a buffer during challenging times and this reduces stress and improves performance. It is easy to imagine how these resources would be extremely useful to those involved in the rescue operations, but what about those trapped in the cave, what were their levels of HERO? Well, the evidence seems to suggest that they were quite high. This was made very clear in the letters that the kids sent to their parents which were entirely positive, mindful of others’ feelings and set goals beyond escaping the cave despite being written by frightened children that had been trapped in a cave for 13 days with limited food, comfort or light. Some letters demonstrated hope and resilience: ‘How are you? I’m fine' wrote Mark; ‘Don’t worry, I’m very happy’ wrote Tee. Others demonstrated high levels of self-efficacy and the setting of positive goals: ‘…afterwards I will go to help Mum sell things at the shop, I will hurry to go there’ wrote Bew; ‘We are all strong, when we come out we want to eat many things’ Anon; ‘Tell my brother to be ready to bring me fried chicken’ Tan; Don’t worry about me. Don’t forget to do my birthday party’ Dom. I know you cannot stereotype a nation – the British are supposed to be funny, but I know some folk who really are not (they won’t know who they are), but Thai people seem to have a tendency towards a cheery disposition and an optimistic outlook (it is the Land of Smiles after all). This is clearly reflected in the letters sent from the cave which showed high levels of Hope, Self-Efficacy, Resilience and Optimism. Has psychological capital played a role in the success of this operation? The empirical evidence is such that a range of interventions are being rolled out in schools and organisations; they have different names, but are basically trying to do the same thing: help people to be more positive, optimistic and resilient by developing their psychological capital. Unfortunately, teaching people how to identify and utilise their psychological capital will never be as effective as in those who are just naturally high in HERO; however, the empirical and real life evidence suggests that using our psychological capital can help us focus on the positive even during times of adversity. A couple of days after I wrote this it was revealed in the news that the kids required sedatives to help get them it of the cave. This is not surprising. They were terrified kids with no experience in the skills required for such a mission and sedation would have helped them and the safety of the rescuers. So does this dismiss psychological capital as psycho-nonsense? I don’t think so, in fact importantly, it demonstrates its limitations. It is not a magic bullet. Taking ibuprofen might take the edge of low level pain, but simply won’t cut it for excruciating pain, say like stepping on some Lego. Whilst psychological capital may have helped the boys stay positive and optimistic during their time in the cave, it would not give them the skills and knowledge they would need to navigate to safety. Being able to identify and make use of psychological resources is, however, a good starting point. It will hopefully help the boys as they recover and reflect on their experiences. - Dr Mark Wetherell is an Associate Professor of Psychobiology & Health Psychology, Postgraduate Programme Leader for Health Psychology and a Practicing Health Psychologist registered with the Health & Care Professions Council (HCPC). Avey, J.B., Reichard, R.J., Luthans, F., Mhatre, K.H. (2011). Meta-analysis of the impact of positive psychological capiteal on employee attitudes, behaviors, and performance. Human Resource Development Quarterly, 22(2), 127-152. Luthans, F., & Youssef-Morgan, C. M. (2017). Psychological Capital: An Evidence-Based Positive Approach. Annual Review of Organizational Psychology and Organizational Behavior, 4(1), 339-366. Newman, A., Ucbasaran, D. , Zhu, F., & Hirst, G. (2014), Psychological capital: A review and synthesis. J. Organiz. Behav., 35: S120-S138. Youssef-Morgan, C. M., Sundermann, D. (2014). Positive interventions: from prevention to amplification. An introduction to contemporary work psychology, 458-480.